What <i> is </i> Hollywood Regency? 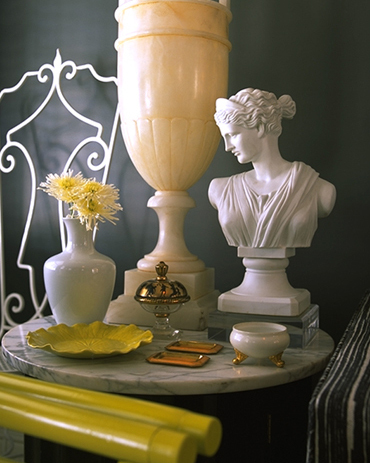 Many people ask, "What is Hollywood Regency decor?" I'm not sure I can answer that simply. My feeling is that it's a bit of Hollywood glamour with a "hotel" feel. Who started it? Dorothy Draper? Billy Haines? I am totally enthralled by the refreshing look of combining elements of the 40's through 60's with traditional decor. You will find lamps and furniture on my web site that are the "Hollywood Regency" look. Read on...I've tried my best to get some good definitions from sources on the internet. AND, if the look interests you, pick up a copy of the books listed below. 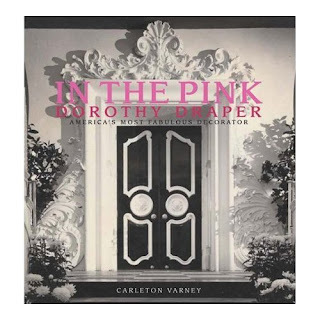 To quote designare.com they say, "Dorothy Draper may not have been the first high society interior decorator, but she was the first successful female commercial interior decorator. In an era where most female interior decorators gravitated to their rich friends' homes for design jobs and architects were chosen to work on commercial projects, Draper broke the mold and pursued public commissions as well as residential jobs. Born into a wealthy family in exclusive Tuxedo Park, New York, Dorothy Tuckerman did not have to lift a finger to make a living. She married well-connected Dr. George Draper and eventually bore him three children. Most women of this Edwardian era would consider their life complete, but Dorothy Draper was no ordinary person. Dissatisfied with just being a housewife and society matron, Draper started designing her own home. Overwhelmed by compliments they soon received, the Drapers quickly sold their home and bought another one to design. 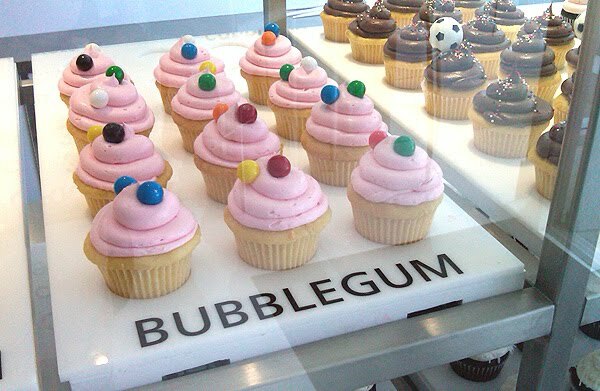 Soon she was doing her family friends' homes and from there she took the plunge into commercial projects. Helping her take the plunge was one of her close friends, real estate developer Douglas Elliman. 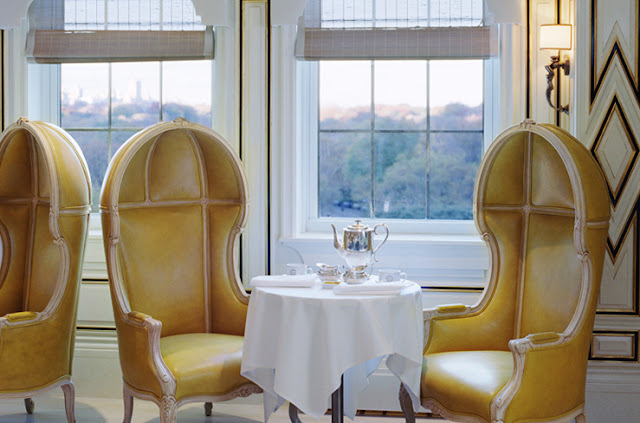 Elliman provided Draper with contacts to land projects including large apartment houses and high-end public lobbies. Her first major project was the Carlyle Hotel in New York City in 1930. She designed the space in the current Art Deco style. Elegant friezes of stylized Greek maidens and athletes against dark walls looked down from the ceilings. Her next major project was the apartment house complex, Hampshire House, located at Central Park South. 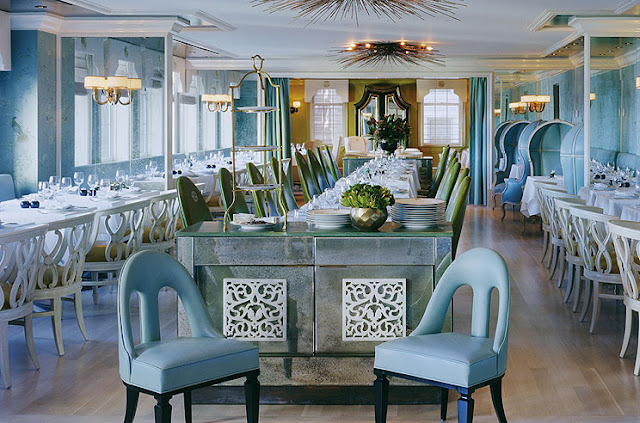 Draper envisioned a mixture of English and Italian baroque throughout the space. Oversized black and white doors line the marble tiled corridors. Plaster reliefs carved in the ornate style of Grinling Gibbons decorated the walls. Her signature style of large floral prints in bright colors against striped walls brightened up the rooms. The lobby of the Hampshire House, completed in 1937. In 1939, Draper left for San Bernardino, California to design Arrowhead Springs Hotel and Spa. The space included public lobbies, restaurants, lounges, a theater and guest rooms." Through this project, Draper popularized the "Hollywood Regency" style of design. 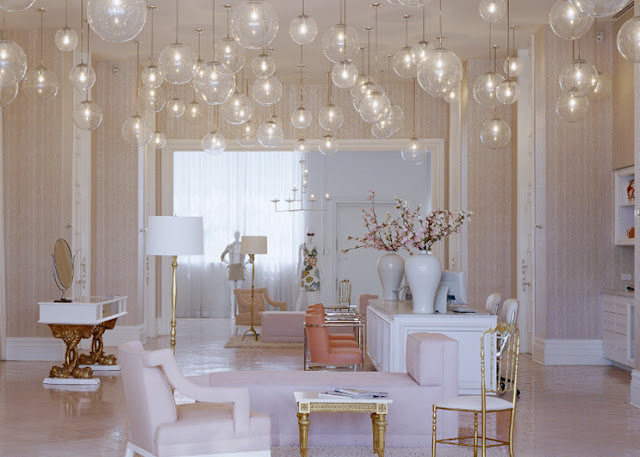 Glamorous sets of luxurious materials, oversized furniture, and sparkling chandeliers became de rigueur in taste. The trend has come back with designer Kelly Wearstler giving it a modern twist. I just love this look and here are some photos of Kelly Wearstler's commercial projects which can also be found on her web site, KWID. "I define Hollywood Regency as Neo-classical lines mixed with Hollywood glamour and a top note of mod moxie. Hollywood Regency was a style of architecture and decoration popular in the 60s in LA that was a revival of classical regency style through a modern lens. Hollywood Regency added a layer of pattern and decoration and opulence and glamour to the minimalism of mid-century modernism. 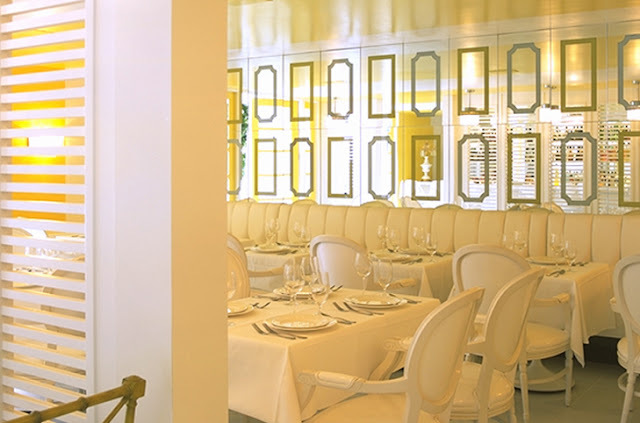 I think that the current rage for Hollywood Regency is a reaction to the Christian Liaigre-ish minimalism that has been pervasive for the last several years. Design was starting to look a bit dour and grey and joyless and I think people had simply had enough. So, Hollywood Regency has become a catch-all name to describe design that thumbs its nose at minimalism in favor of classical references and lots of decoration. 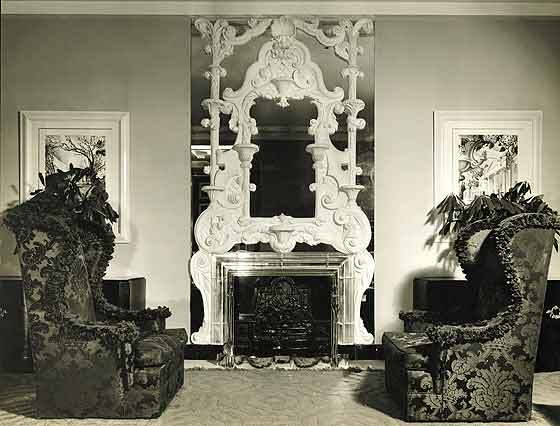 As for the mirrors and bamboo and Asiana and chrome, those are all design elements that figured into Hollywood Regency style the first time around and I think they're back because they're decorative and glamorous. I have always been a maximalist and an eclecticist. My pad has always featured a mix of my own stuff with modern classics and Louis XVI chairs and a dollop of rococo, so I fully support design that has a dash of opulence and a soupçon of decoration." 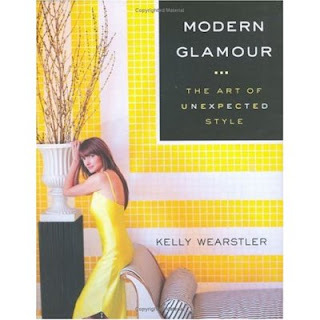 "Modern Glamour: The Art of Unexpected Style"
"In The Pink: Dorothy Draper"
OH GOD!That's such a beautiful entry, i adore kelly w and dorothy draper....YOUR book coming out? YOU'RE a style maker too! Thanks Claudia! Book? I'm waiting for yours!!!! Thanks again for the sweet comments AND the nice birthday greeting too! If I had to choose one era of style that I loved the best, it would be Hollywood Regency. Billy Haines in 30s really made it big. I like many types of styles and so the glamour and mixing of styles with old and new to create Hollywood Regency really appeals to me. Hollywood for the glamour, Regency from the classical regency eras from Europe (French, Italian etc) with some art deco and lucite. Voila. Love love it. Great post Lynn! Karen, I am with you. Loving the whole mixture of of old and new. So refreshing. Thanks for the nice post! To me HOLLYWOOD REGENCY borrows the language of architecture of Regency/Georgian and Retro/Mid-Century and producing something w/ a punch and flair. I am such a lemming! Here I thought that my eclectic mix of Granny's 1940's Duncan Phyfe repros, American Pottery and Hungarian turn-of-the century porcelains was unique! I also love mirrors and candles. Not true Hollywood Regency, but trendy none the less. I am buying BOTH books to learn more. Thanks for the lovely, lovely website.